New Delhi, Feb 11: The Supreme Court has refused to entertain a plea that sought a court monitored probe into the Saradha chit fund scam. New Delhi, Feb 04: The Rose Valley and Saradha scams are not small financial frauds by any means. While the Saradha scam rocked the state, it was found that the Rose Valley scam was a bigger one. This ponzi scam is huge and in terms of numbers beats the infamous Saradha chit fund case as well. It was a Rs 3,700 crore ponzi scam that the Enforcement Directorate busted in Noida. The ED attached assets worth Rs 599 crore from the Noida-based firm which allegedly promised money in exchange for likes on the social media. 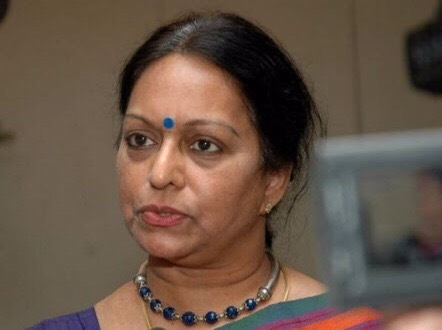 Bengaluru, Sept 17: The Enforcement Directorate (ED) is preparing fresh summons to be issued to Nalini Chidambaram, wife of former union minister, P Chidambaram in connection with the Saradha scam. A fresh summons is being issued after the ED sought legal opinion which cleared the action. Kolkata, March 10: TMC- 184, Left Front- 70, Congress-20 and BJP-5. This is what a report by the Intelligence Bureau on the West Bengal elections has to say. The report by the Intelligence Bureau is very similar to the one by CVoter in terms of the TMC retaining power in the state. However according to the CVoter poll which was telecast on India TV, the TMC would get 156 while the Left Front would bag 114 seats and the Congress-42. Bengaluru, March 4: After reports of the CBI summoning Nalini Chidambaram, wife of former union minister, P Chidambaram did the rounds earlier the headquarters of the agency has denied the same. The CBI headquarters say that it has not sent a notice to Nalini although the agency has named her in its sixth supplementary chargesheet. Kolkata, Feb 15: Mukul Roy is back where he belongs. He was made the TMC vice president on Sunday, Feb 14, a year after he was stripped of his party portfolios. Looking at the events of last year one had suspected that Mukul Roy would have a bitter falling out with the party and there had been indications that he would also launch a political outfit of his own.